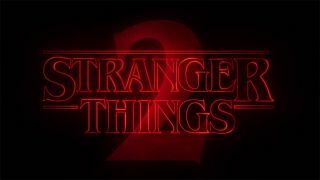 As per tradition, a number of huge TV spots and trailers for Hollywood blockbusters appeared during this year’s Super Bowl broadcast, but in a somewhat surprising twist, one of the most exciting trailers to premiere during the game was one for a Netflix television series – the hugely anticipated Stranger Things 2. One of Netflix’s biggest successes of last year, the ‘80s throwback series Stranger Things arrived on the streaming service and became an instant pop culture phenomenon. Kicking off with a remake of a famous Eggos commercial, the Stranger Things 2 teaser gives a brief look at what we can expect to see in the second season, including the return of Eleven, kids in Ghostbusters costumes and giant frickin’ monsters. On top of the realisation that the world is apparently turning upside down, the trailer also reveals Stranger Things 2’s release date: Halloween 2017. Check out the trailer below and see if you can spot any other clues that could prove useful when deciphering the inevitable mysteries awaiting us in Stranger Things second season. Will Barb return and play an important role? We may have to wait til October 31 to find out.